Our initial consultations are 45 minutes, which allows your Physiotherapist to run through the necessary assessments and develop a management plan with you. We offer a 45 minute extended follow up appointment for people who have more than one area requiring treatment or for complex issues. We also offer a 30 minute general follow up appointment. Your Physiotherapist will advise which appointment is appropriate for you. How much do the appointments cost? Our 45 minute appointments are $95, and our 30 minute appointments are $80. We have a HICAPS machine on site, which allows for instant claiming from your private health fund. Yes, there is free parking directly outside the clinic. PLEASE NOTE: it is rear to curb parking as per the signage. Is there easy access for limited mobility? We are located on the ground floor with no steps into the clinic. There are two steps at the back that lead to the toilet. You don't generally need a referral to see a Physiotherapist. The only time a referral is needed is when you are being covered by WorkCover, CTP, DVA, or a Medicare EPC. If you are unsure, speak with your GP who will be able to supply a referral if required. Loose fitting clothing is generally best as the Physiotherapist needs to be able to access the injured area. Wear clothing appropriate for your injury e.g. if you have injured your knee, wear shorts. Ladies are advised to wear a singlet top underneath their shirt. We offer draping and towels to maintain modesty. Please arrive at least 5 minutes prior to your appointment, this allows for completion of any paperwork that may be required. What should I do if I will be late or need to cancel my appointment? We understand that the unexpected happens, however we ask that you provide at least 24 hours notice when changing or cancelling appointments. This allows someone else the opportunity to take the appointment time you have changed/cancelled. Please bring any reports, scans, referrals, and any relevant cards e.g. private health insurance card, Medicare card, White or Gold DVA card. If you are claiming treatment under WorkCover or CTP you will need to provide us with the name of your Nominated Treating Doctor, Case Managers name, and claim number before we can provide treatment. ​Do you use TENS or Ultra-Sound machines? We do not utilise these machines in our Physiotherapy treatment. Treatment techniques used at My Peak Performance include soft tissue releases, joint mobilisation and manipulation, dry needling, muscle energy techniques, taping, and exercise prescription. We believe in a hands-on approach to helping you achieve your peak performance! What do I do if I have multiple injuries I want the Physiotherapist to look at? Please advise the receptionist if you have more than one injury that requires attention when making an appointment. If you have two areas requiring treatment, you will be booked in for an extended consultation. If you have more than two issues requiring attention, please advise the receptionist when making your appointment. I have private health insurance, will I be covered for Physiotherapy? Your coverage will depend on your individual policy. Please contact your private health insurance provider for further information. How do I claim from my private health insurance? We have a HICAPS machine onsite which allows for instant claiming from your private health insurance. If you forget your card, we will require full payment and will supply you with an invoice, which will enable you to claim back from your private health insurer. Medicare does not cover private Physiotherapy. Some clients who suffer from chronic conditions may be eligible for an Enhanced Primary Care (EPC) program. Please speak with your GP to see if this is appropriate for you. Do you accept Enhanced Primary Care (EPC) programs? Yes we do, please advise reception that you have an EPC when making an appointment. You must have a referral from your GP which you will need to bring with you on your first visit. The referral must state My Peak Performance as the allied health professional. We do not currently charge the gap for EPC programs when there is only one area of treatment. Should you require treatment on more than one area, you will need to pay the full consultation fee for an extended appointment and lodge a claim with Medicare to receive your rebate. We offer a discount to full pension holders, please show the receptionist your card at your first appointment. My Peak Performance currently offers a variety of discounts to local gyms and sporting clubs that may be applicable to you. If you are unable to attend the clinic, please call and speak with the receptionist to see if a home visit can be arranged. Do you offer treatment for WorkCover/CTP/DVA? Yes we do, please advise the receptionist you have a WorkCover/CTP/DVA claim when making your appointment. Before we can provide treatment, we will need to have the name of your Nominated Treating Doctor, Case Managers name, and claim number. Do you have male and female Physiotherapists? Yes, we have both male and female Physiotherapists available. All our Physiotherapists are Masters qualified. 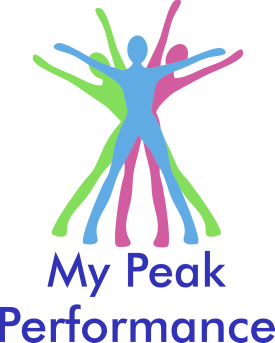 My Peak Performance offer Pilates classes at Balcombe Heights Scout Hall in Baulkham Hills, next to Col Sutton Reserve. Please see our Pilates section under Services for further details.